Psalms 145:21: My mouth shall speak the praise of Yahweh: and let all flesh bless his holy name for ever and ever. 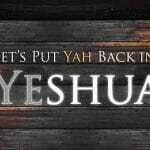 Psalms 80:18: So will not we go back from thee: quicken us, and we will call upon thy name. Psalms 99:6: Moses and Aaron among his priests, and Samuel among them that call upon his name; they called upon Yahweh, and he answered them. II Chronicles 6:24-25: And if thy people Israel be put to the worse before the enemy, because they have sinned against thee; and shall return and confess thy name, and pray and make supplication before thee in this house; 25) Then hear thou from the heavens, and forgive the sin of thy people Israel, and bring them again unto the land which thou gavest to them and to their fathers. Hebrews 2:12: Saying I will declare thy name unto my brethren, in the midst of the assembly will I sing praise unto thee. Pslams 34:3 O magnify Yahweh with me, and let us exalt his name together. Psalms 86:9: All nations whom thou hast made shall come and worship before thee, O Yahweh; and shall glorify thy name. Psalms 86:12: I will praise thee, O Yahweh my Elohim, with all my heart: and I will glorify thy name for evermore. Psalms 66:2: Sing forth the honour of his name: make his praise glorious. II Samuel 7:26: And let thy name be magnified for ever, saying, Yahweh of hosts is the Elohim over Israel: and let the house of thy servant David be established before thee. Exodus 3:15: And Elohim said moreover unto Moses, Thus shalt thou say unto the children of Israel, Yahweh Elohim of your fathers, the Elohim of Abraham, the Elohim of Isaac, and the Elohim of Jacob, hath sent me unto you: this is my name for ever, and this is my memorial unto all generations. Psalms 68:4: Sing unto Elohim, sing praises to his name: extol him that rideth upon the heavens by his name YAH, and rejoice before him. Isaiah 50:10 Who is among you that feareth Yahweh, that obeyeth the voice of his servant, that walketh in darkness, and hath no light? let him trust in the name of Yahweh, and stay upon his Elohim. Exodus 20:7 Thou shalt not take the name of Yahweh thy Elohim in vain; for Yahweh will not hold him guiltless that taketh his name in vain. Genesis 12:7: And Yahweh appeared unto Abram, and said, Unto thy seed will I give this land: and there builded he an altar unto Yahweh, who appeared unto him. 8) And he removed from thence unto a mountain on the east of Bethel, and pitched his tent, having Bethel on the west, and Hai on the east: and there he builded an altar unto Yahweh, and called upon the name of Yahweh. Psalms 116:13: I will take the cup of salvation, and call upon the name of Yahweh. Psalms 116:17: I will offer to thee the sacrifice of thanksgiving, and will call upon the name of Yahweh. Isaiah 52:6: Therefore my people shall know my name: therefore they shall know in that day that I am he that doth speak: behold, it is I.
Hosea 2:16: And it shall be at that day, saith Yahweh, that thou shalt call me Ishi; (Husband) and shalt call me no more Baali. (My LORD) 17) For I will take away the names of Baalim out of her mouth, and they shall no more be remembered by their name. Psalms 44:20: f we have forgotten the name of our Elohim, or stretched out our hands to a strange El; 21) Shall not Elohim search this out? for he knoweth the secrets of the heart. Jeremiah 23:26: How long shall this be in the heart of the prophets that prophesy lies? yea, they are prophets of the deceit of their own heart; 27) Which think to cause my people to forget my name by their dreams which they tell every man to his neighbour, as their fathers have forgotten my name for Baal (LORD). Genesis 4:26: And to Seth, to him also there was born a son; and he called his name Enos: then began men to call upon the name of Yahweh. The following is a compilation of scholarly sources confirming the pronunciation of “Yahweh.” While some maintain that the name is Yehovah or Jehovah, this form is a hybrid that developed through the practice of adding the vowel points from the Hebrew Adonai to the Tetragrammaton. “However, because of its holy character, the name Yahweh was withdrawn from ordinary speech during the period of the Second Temple (c. 500 B.C.E. and later) and the substitute word — actually a title not a personal name — Adonai, or (The) Lord, was used, as is still the practice in synagogues. Scholars who translated the Hebrew Bible into Greek (the Septuagint) in the third century B.C.E. adopted this synagogue convention and rendered YHWH as (ho) kurios, ‘(The) Lord.’ From this Greek translation the practice was carried over into the New Testament. The writer of Proverbs 30 asks in verse 4 a series of profound, rhetorical questions that a wise person who has studied the Bible should be able to answer without hesitation. Are you knowledgeable enough to forthrightly give the correct answers? What is His Name? The average person would say it’s “the L-rd” or “G-d.” However, a close examination of the Hebrew texts reveals that these are not the correct answers. The word “L-rd” is not a name. It is a title that has been substituted by Bible translators for the actual name of the Heavenly Father. In fact, it is title inferior to king or ruler. The word “G-d” also is not a name. It is a generic term used for the Almighty, a substitute for the Hebrew term “Elohim.” Since the translators have for the most part removed His Name, we must dig deeper to learn the answer to this important question. All true translations of the Old Testament are based upon the Hebrew texts of the sacred Scriptures known as the Masoretic Text. 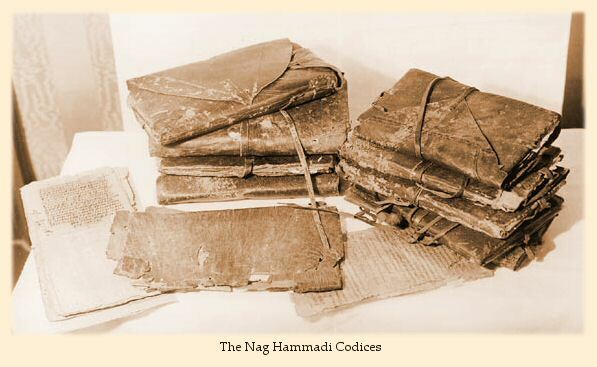 This text was preserved and maintained by a group of Jewish scribes known as the Masoretes. The Masoretes sought meticulously to protect the exact text handed down to them so as to maintain its purity for future generations. This important work began after the destruction of the Temple in Jerusalem in 70 CE (AD) and has remained up until today. Their work is the base text of the majority of Old Testament translations. Here are but three witnesses among countless others that verify Yahweh as being the true Name of the Heavenly Father as given in the Old Testament Scriptures. The Name of Yahweh was so highly revered by the early translators of the Septuagint (the Greek translation of the Hebrew text done in the third century BCE) that they preserved it in the Greek text. Remember the question in Proverbs 30:4 was, “What is His name?” Notice that it says name (singular) and not names (plural). That is because our Heavenly Father has only one name and not many. Let us consider a few scriptures to verify that fact. “Elohim also said to Moses, ‘Say to the Israelites, “Yahweh, the Elohim of your fathers–the Elohim of Abraham, the Elohim of Isaac and the Elohim of Jacob–has sent me to you.” This is my name forever, the name by which I am to be remembered from generation to generation’”(Exodus 3:15, NIV). “I am Yahweh; that is my name! I will not give my glory to another or my praise to idols” (Isaiah 42:8, NIV). It should now be obvious that our Father in heaven has only one name and that name is Yahweh. He was known by that name to Moses and the patriarchs of old. He always has been and always will be known to spiritual Israel by that covenant name. We find that four times in the Messiah’s prayer in John chapter17 that He refers to the Name Yahweh. The references are as follows. “I have manifested Your name to the men whom You gave Me out of the world; they were Yours and You gave them to Me, and they have kept Your word” (John 17:6, NASU). “…Holy Father, keep them in Your name, the name which You have given Me, that they may be one even as We are. While I was with them, I was keeping them in Your name which You have given Me…” (John 17:11-12, NASU). “And I have made Your name known to them, and will make it known, so that the love with which You loved Me may be in them, and I in them” (John 17:26, NASU). It is obvious from these references that the Messiah not only knew the name Yahweh but He made a point of declaring it to His disciples. From the age of the Apostles to the end of the age the true disciples of the Messiah will place great significance on the Name Yahweh. This can be seen clearly in the last book of the Bible, the Book of Revelation. “Then I looked, and there before me was the Lamb, standing on Mount Zion, and with him 144,000 who had his name and his Father’s name written on their foreheads” (Revelation 14:1, NIV). What Name Will You Call On? What are you going to do now that you can answer the question in Proverbs 30:4 and now that you understand the great significance of the Name of our Heavenly Father? All sincere seekers of truth need to understand that we are living in the end-times and that knowing and using the Name of Yahweh is important to our salvation. “I will show wonders in the heavens and on the earth, blood and fire and billows of smoke. The sun will be turned to darkness and the moon to blood before the coming of the great and dreadful day of Yahweh. And everyone who calls on the name of Yahweh will be saved; for on Mount Zion and in Jerusalem there will be deliverance, as Yahweh has said, among the survivors whom Yahweh calls” (Joel 2:30-32, NIV). Watch: “Does His Name Matter” on Discover the Truth TV below. Among the ranks of Messianic believers there has long been a controversy as to the correct pronunciation of the name of our Savior. Predominately, among Jewish Messianics, there is the belief that the Messiah’s name is to be pronounced “Yeshua,” while among other Messianic believers there is the belief that the Savior should be called “Yahshua.” Obviously they can’t both be right. Our Savior said in John 17:17, “Sanctify them in the Truth, your Word is Truth.” It therefore stands to reason that the truth of this matter can be learned by examining the Word of Yahweh. By examining the Scriptures we learn that the Israelite leader Joshua had the same name as our Savior. Hebrews 4:8 reads in the KJV, “For if J-sus had given them rest, then would he not afterward have spoken of another day.” The context of this passage shows that this is not referring to our Savior, but rather to the Israelite general who took Israel into the Promised Land. This evidence supports the fact that the Messiah and Joshua had the same name. All Hebrew names have meaning, and the name of our Savior is no exception. If we look in Matthew 1:21 we learn the meaning of the Messiah’s name. Again, we quote from the KJV: “And she shall bring forth a son, and you shall call his name J-SUS: for he shall save his people from their sins.” The name of the Messiah means “savior” and its meaning is derived from the Hebrew word for salvation. This reference says that the Savior’s name means Jehovah, or (more correctly) Yahweh is salvation. From the Scriptures and from these lexicon definitions we learn that the Savior’s name should be translated as, Yahweh is salvation or the salvation of Yahweh. The name of the Heavenly Father is composed of four Hebrew letters. For that reason it is referred to as the Tetragrammaton. Understand that when James Strong produced his concordance, the popular view among scholars was that the name of the Heavenly Father was Jehovah. Strong and most scholars of that time were for the most part still following the error of the original English translators who had mistakenly incorporated the vowel points occurring in the Hebrew text into the transliteration. These vowel points had been added by the Masoretes to maintain their belief that the Sacred Name should not be spoken. The vowel points that were placed there were for the title Adonai (my L-rd). Traditionally, the Jews read Adonai or Ha Shem (“the Name”) instead of pronouncing the Name of the Heavenly Father. 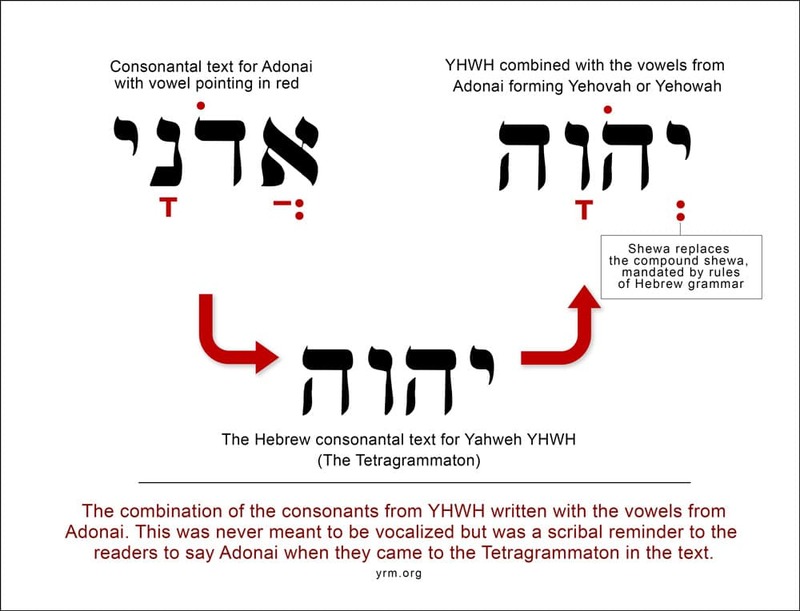 They believe that “Yahweh” should not be pronounced because it is too holy, being called “the ineffable Name.” When the reader of the Hebrew Masoretic Text would see the Tetragrammaton, he would be reminded by the vowel points to read Adonai and not Yahweh. This belief is in direct conflict with what our Savior taught on the subject; He openly proclaimed the Name of the Heavenly Father to His disciples. Consider the following quotations from the Savior’s prayer in John chapter 17: “I have manifested Your name to the men whom You gave Me out of the world; they were Yours and You gave them to Me, and they have kept Your word,” v. 6, NASU. John 17:11-12: “I am no longer in the world; and yet they themselves are in the world, and I come to You. Holy Father, keep them in Your name, the name which You have given Me, that they may be one even as We are. While I was with them, I was keeping them in Your name which You have given Me; and I guarded them and not one of them perished but the son of perdition, so that the Scripture would be fulfilled,” NASU. John 17:26: “And I have made Your name known to them, and will make it known, so that the love with which You loved Me may be in them, and I in them,” NASU. Four times in this prayer our Savior emphasized that He had declared the Name of the Father to His disciples. Obviously, the Messiah did not follow the Jewish tradition concerning the sacred Name. Scholarship has proven that the name of the Heavenly Father is not Jehovah but Yahweh. When looking at the various pronunciations offered in the lexicons, bear in mind that they are based upon the vowel points that were added by the Masoretes several hundred years after the Messiah’s death to help preserve the Hebrew pronunciations. 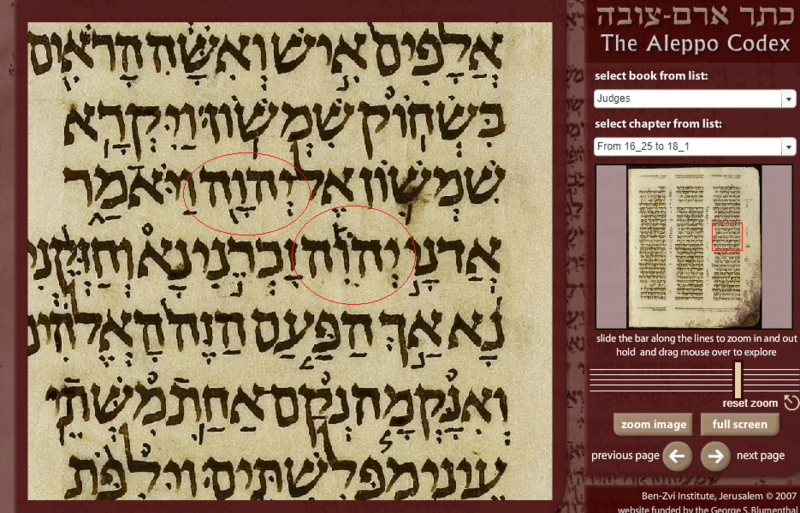 The Hebrew texts were originally written without vowel points. In Marks and Rogers Handbook to Biblical Hebrew is the following quotation: “Originally Hebrew had no written vowels; the following consonants, however, were often used to indicate long vowels: a, h, w, y. When the Masoretes introduced their vowel signs, they added their signs to these consonants,” p. 7. 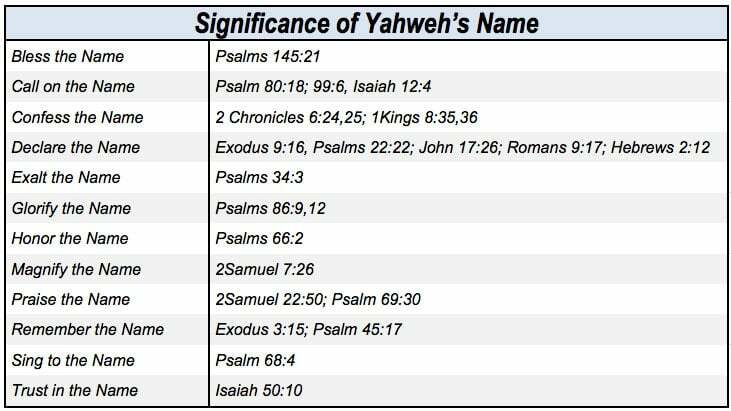 Notice that all of the letters that compose Yahweh’s name are listed here. The Masoretes took certain liberties with the sacred Name because of their belief that it was too holy to pronounce. For those fluent in Hebrew the vowel points are not necessary for reading or understanding the text. It must be noted that the same “liberties” that were taken with Yahweh’s Name were also applied to the Savior’s Name in Hebrew. Because of these corrupted traditions it is necessary to disregard the vowel points when translating these names. 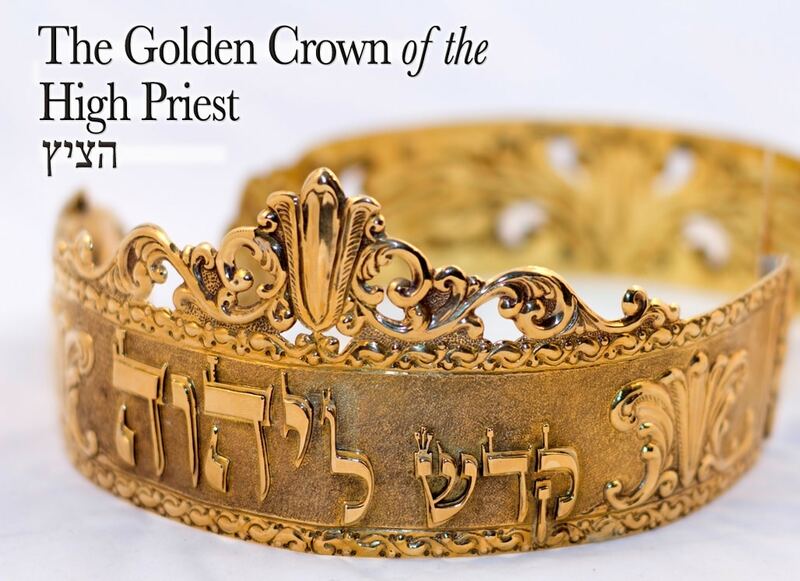 Let’s take a look at these names as they appear in the Hebrew text. We will first consider the name Yahweh. In the Hebrew it is written hwhy. Hebrew is written from right to left. 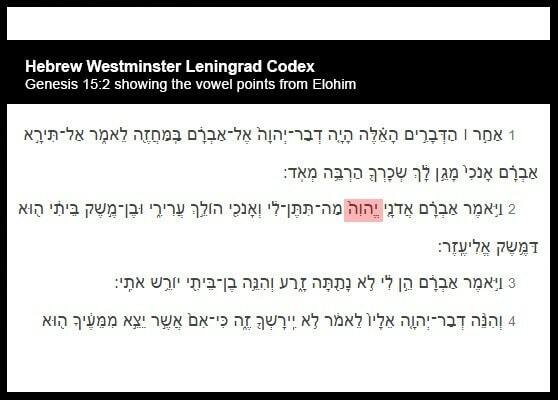 The English transliteration is YHWH. These are four vowel letters. It is not necessary to have vowel points to pronounce this name. The first letter— y (yoth) is pronounced as a long Y sound, like the Y in heavy (an ee sound). The second letter— h (hay) is pronounced as a short A sound, like the A in father (an ah sound). The third letter— w (waw) is pronounced as a long U sound, like the OO in food (oo sound). The fourth letter— h (hay) is pronounced as a short E sound, like the E in met (an eh sound). When we put these sounds together we get the correct pronunciation of the Heavenly Father’s Name, ee-ah-oo-eh, or as written in English, Yahweh. According to the previous definitions, the Savior’s Name is the combination of two words. In the Strong’s Lexicon they are No. 3068—“Yahweh” and No. 3467—“salvation.” When we look at the Savior’s name in Hebrew it is written as ucwhy. Again, Hebrew is written from right to left. Note the first three letters of this name—why. 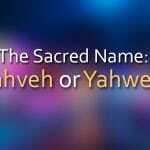 This is the contracted or abbreviated form of Yahweh’s name, pronounced Yah. From the Theological Workbook of the Old Testament in regard to Yah: “YAH. A contracted form of Yahweh. Occurs fifty times (rendered in English as above, except KJV, Jah, in Psalm 68:4, where the name is particularly stressed). Furthermore, we can cite the Gesenius Hebrew-Chaldee Lexicon on Yah hy. This authoritative work shows the two forms of Yah as being hy and why. It gives several examples in Hebrew showing how these two forms combine with other words to form proper nouns. Both of these forms are transliterated as Yah. The Savior’s name is one of the many proper nouns in the scriptures that is compounded with the shortened form of Yahweh’s name, Yah. In this particular case it combines with the uc form of yahsa (salvation). From this evidence we can conclude that the Savior’s name must be pronounced as Yahshua and not Yeshua. These facts take on even greater meaning if we consider the prophetic passage which deals with the Philadelphia Congregation of Revelation chapter 3. This is obviously an end-time congregation since in verse ten they are offered protection during the tribulation. “Because you have kept the word of my perseverance, I also will keep you from the hour of testing, that hour which is about to come upon the whole world, to test those who dwell on the earth” (Revelation 3:10, NASU). These end-time true worshipers were complimented for not having denied the Savior’s Name. Yahshua then tells them that He will cause those of the synagogue of Satan to bow before them. “I know your deeds. Behold, I have put before you an open door which no one can shut, because you have a little power, and have kept My word, and have not denied My name. ‘Behold, I will cause those of the synagogue of Satan, who say that they are Jews and are not, but lie — I will make them come and bow down at your feet, and make them know that I have loved you’” (Revelation 3:8-9, NASU). Judaism has for centuries sought to cover up the true pronunciation of Yahweh’s Name. That same false notion has been perpetuated today by those who insist on using the altered form Yeshua, rather than the correct and proper form, Yahshua. Yahshua is truth while Yeshua is error. Our Savior said that His disciples are sanctified by the Truth,John 17:17. A: Rabbinic tradition suppressed the true Name Yahweh out of a fear of pronouncing the ineffable Name. In Hebrew, Jewish scribes inserted a vowel point, shewa (:) instead of the proper qamets (T), thus changing the sound “ah” in “Yah” to “eh.” This was done to hide the sacred Name and yielded the improper Yehovah and Yeshua, from which the improper “Jesus” arose. This may have been done to avoid offending the Jews and their proscription against even the short form YAH. Even the well-known Hebrew word “halleluYah,” which means “Praise Yah,” employs the “a” and not “e”. You never say “halleluyeh.” The proper “ah” pronunciation is also found in names of patriarchs, like IsaYah (Isaiah-“Yahweh has saved”) and YeremiYah (Jeremiah-“Yahweh will exalt”). We must take into consideration the ancient pronunciation of the waw and whether “v”, “w” or “u” as we know them accurately reflect that ancient pronunciation. The following information is derived from a number of sources, including G.B. Palatino’s Lettere Romane(1545). ‘U’ and ‘W’ are variants of ‘V’ which was being used for two different sounds in medieval England. ‘U’ was introduced to give a soft vowel sound as opposed to the harder consonant sound of ‘V’. ‘W’ began as a ligature. Two ‘V’ letterforms were joined into ‘VV’ to represent ‘double U’ in 12th-century England. 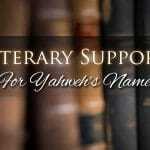 Those who use the “v” form of Yahweh’s Name (Yahveh) should note that the Name is spelled “Yahweh” in almost all academic publications, many by people well-studied in the Hebrew language, including Hebrew speakers. Hebrew linguists believe the third letter waw was in ancient times pronounced as “w” (hence it is named “waw”). The English name “Jehovah” was invented by Roman Catholics sometime in the Middle Ages, based on a misunderstanding of Masoretic Hebrew texts. It is a hybrid word consisting of the Tetragrammaton YHWH (“J” used to be pronounced as “Y”) and the vowels for the word “Adonai.” Though “Jehovah” is used a few times in the 1611 King James Version (e.g., Gen 22:14; Exod 6:3;Isa 12:2; Ps 83:18) and is found in many older Christian hymns, it is not the authentic biblical pronunciation of the sacred Name (For a discussion of the “Jehovah or Yahweh” question see “God, Names of” in Encyclopædia Judaica, vol. 7, col. 680, or George F. Moore, Judaism in the First Centuries of the Christian Era: The Age of the Tannaim (3 vols., Cambridge, Mass. : Harvard Univ. Press, 1927-30), vol. 1, p. 219 and note 1, p. 427. Most modern Bible translations have notes on this issue in their introductions, agreeing that the true Name of the Heavenly Father is Yahweh. If a person told you his name, would you argue with him about it? Would you tell him, “No, I don’t think so. I’ll call you something else instead”? Of course not, that would be absurd! You have no right to do such a thing and you would certainly not make him too happy if you did. Yet when it comes to the personal Name of the Father in Heaven, many believe that they have the prerogative to decide what they will call the One they worship. They will go to great lengths to avoid using the revealed Name of the Heavenly Father, Yahweh. The most creative mental gymnastics are performed in an effort to justify the continued use of common titles over the personal Name Yahweh, which the Bible says is a name above every name. 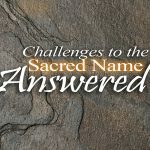 In an effort to quiet their consciences, some will argue, “He has many names.” Many will rationalize, “He knows who I mean no matter what I call Him,” while others will postulate, “His ‘name’ just means His authority.” Anyone looking into this important matter from the Scriptures, however, soon discovers that Yahweh Himself rejects all of these arguments, as well as other common assumptions about His Name. A simple examination of the Scriptures shows that the issue of Yahweh’s Name is of paramount importance to Him — just as your name is important to you. He thunders, “I am YAHWEH: that is my name: and my glory will I not give to another, neither my praise to graven images,” Isaiah 42:8. The Hebrew original of this passage contains the Tetragrammaton YHWH, or Yahweh. Yahweh is resolute about His Name. 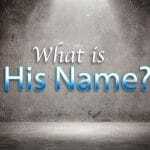 He is adamant that His people call on Him by the only Name that ensures salvation. The New Testament Book of Acts tells us, “Neither is there salvation in any other: for there is none other name under heaven given among men, whereby we must be saved,” Acts 4:12. He even wrote the Third Commandment specifically to address the neglect of His Name: “Thou shalt not take the name of Yahweh thy Elohim in vain; for Yahweh will not hold him guiltless that takes his name in vain.” The Hebrew behind that commandment says “bring to deso-lation and ruin,” which is exactly what will happen if you substitute other names and titles for the one true Name. Following are the most familiar arguments given to justify the use of substitute titles like “God” and “Lord” in place of the true Name Yahweh. 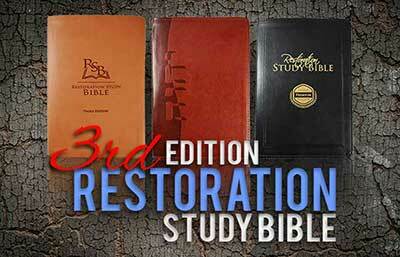 We will examine each in light of the Bible to see whether any has validity. This is one of the most popular justifications advanced to avoid using the Name Yahweh. If He has many names then it is implied that no single name stands out as His one, special, personal Name. Or in other words, He has many names but no name. The problem with this argument is the failure to recognize that generic titles are not names. Take “Mr. Sam Jones,” for instance. “Mister” is not the name of “Sam Jones.” Mister is only a title for him. Sam Jones cannot sign a document with only the word “Mister” and expect anyone to accept it as his authentic endorsement. One is a generic term that applies to any man, the other is his real name. The same goes for the various descriptive titles for Yahweh that some erroneously think are names, like eloah (“mighty one”), el shaddai (“the all-powerful”) and adon/adonai (“sovereign”). Others are confused by attributions that are sometimes used in connection with His Name, like Yahweh-Yireh (“Yahweh provides”), Yahweh-Zidkenu (“Yahweh our righteousness”) and Yahweh-Rapha (“Yahweh our healer”). Regardless of certain titles and attributions, He still has only one Name — Yahweh. He inspired the prophet Isaiah in 42:8 to write, “I am YAHWEH: that is my name: and my glory will I not give to another, neither my praise to graven images.” Psalm 83:18 confirms that He has but one Name: “That men may know that thou, whose name alone is YAHWEH, art the most high over all the earth.” Nowhere in the pages of the Bible can we find a statement saying He has many names. But we can find many passages attesting to His one true Name. You cannot find such a statement expressed or implied anywhere in the Bible. Nowhere are we given the right to rename our Heavenly Father. To bestow a name is the sole prerogative of a superior, as when a parent names his child and as when Adam named the animals under his dominion. Since when does the one created have the right to address his Creator by any name he pleases? To use this argument for the One who made us is the height of insolence and is utterly offensive to Yahweh. Notice His warning about such obstinacy: “If you will not hear, and if you will not lay it to heart, to give glory unto my name, says Yahweh of hosts, I will even send a curse upon you, and I will curse your blessings: yea, I have cursed them already, because you do not lay it to heart.” Yahweh’s Name is bound up in proper worship and in Psalm 68:4 He commands His people to praise Him by His Name. John 4:24 reminds us, “Yahweh is Spirit: and they that worship him must worship him in spirit and in truth.” To deliberately ignore the Truth of His Name in favor of what pleases us as His worshipers is nothing less than vain arrogance deserving of rebuke. We cannot reverse the flow of authority —Yahweh our Creator tells us how to worship Him, not the other way around. Even beyond this, His knowing “who you mean” makes no difference to Him if you refuse to honor and glorify Him as He demands, which includes using the right Name. His Name represents Him and His truths, something no other name does. Besides being false, this argument amounts to no more than an excuse — that because of supposed uncertainty we should not even try to pronounce His Name. The fact is, the Name is given us in the Hebrew in the form of the Tetragrammaton or “four letters,” which is YHWH (Yod, Hay, Waw, Hay). 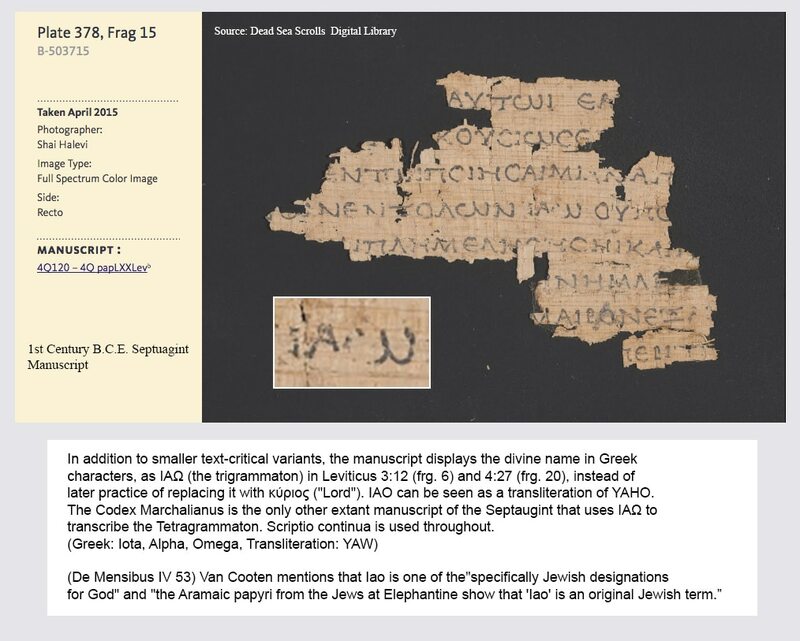 Jewish scribes went to great lengths to ensure the accuracy of this Name in the Hebrew, while the Masoretes or text guardians vowel-pointed the Hebrew letters to preserve the pronunciation. It is not true that the pronunciation of the Hebrew Name was lost. If it were then the pronunciation of the entire Hebrew Old Testament was lost as well. It would also mean that in the passing-down process of the Hebrew tongue from one generation to another, that at some point all Jews suddenly woke up and forgot how to speak their own language! If we can read the Old Testament out loud in the Hebrew, then we can also read the Name Yahweh accurately in the same Hebrew. Today the Jews read Hebrew every Sabbath in their synagogues. They have no problem pronouncing it. Here is what the noted Encyclopaedia Judaica says about this issue: “The true pronunciation of the name YHWH was never lost. Several early Greek writers of the Christian Church testify that the name was pronounced ‘Yahweh.’ This is confirmed, at least for the vowels of the first syllable of the name, by the shorter form Yah, which is sometimes used in poetry (e.g., Ex. 15:2) and the –yahu or –yah that serves as the final syllable in very many Hebrew names,” Vol. 7, p. 680. 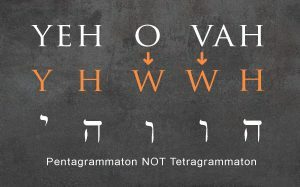 The Encyclopaedia Britannica comments: “Early Christian writers, such as Clement of Alexandria in the 2nd century, had used the form Yahweh, thus this pronunciation of the Tetragrammaton was never really lost. Greek transcriptions also indicated that YHWH should be pronounced Yahweh,” 15th Edition, Vol. X, p. 786. The Catholic Encyclopedia notes: “The saying of God, ‘I am who I am,’ is surely connected with His name that is written in the Hebrew consonantal text as Yhwh, the original pronunciation of which is well attested as Yahweh,” 1967, Vol. 5, p. 743. Vowels do exist in Hebrew, as in all languages, or else it would be impossible to speak Hebrew. Vowels are spoken via the open mouth, while consonants are spoken by closure of the lips or by tongue contact on teeth or palate. Old Testament Hebrew is composed of words written in consonants with the vowels understood. 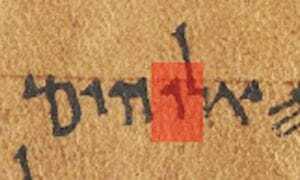 As noted, the Masoretes in the seventh century inserted vowel points or marks in and around the Hebrew letters to preserve the correct pronunciation. Just as with our letter “Y,” there are some Hebrew letters that serve as both consonants and vowels. Amazingly, all four letters of Yahweh’s Name are such consonant-vowels. This fact can be verified in most Hebrew grammars, including A Beginner’s Handbook to Biblical Hebrew (Horowitz), p. 7 under “Vowel Letters”; The Berlitz Self-Teacher, p. 73 under “The Vanishing Dots”; Hebrew Primer and Grammar (Fagnani and Davidson) p. 10, under “The Quiescents and Mappiq,” and How the Hebrew Language Grew (Horowitz), p. 28. First-century priest and historian Falvius Josephus writes about the sacred Name that was engraved on the headpiece of the high priest (Ex. 28:36-38): “A mitre also of fine linen encompassed his head, which was tied by a blue riband, about which there was another golden crown, in which was engraven the sacred name [of Yahweh]; it consists of four vowels,” Wars of the Jews, Book 5, chapter 5, p. 556. Once we realize that Yahweh has a personal, life-giving, healing, covenant Name only through which we can find salvation, to continue calling on an inanimate, generic title to provide the same blessings that His Name gives is an affront to Him and His character. One problem here is that these are not names but common titles that can apply to any number of mighty ones or even less than mighty ones. Another problem with this statement is that “God” is not English at all but Germanic from the word gott. A “lord” is someone subordinate to a king. “Lord” derives from Old English hlafweard meaning “loaf keeper,” a person who headed a feudal estate under a king.Yahweh is King of the universe, and so to address Him with a diminutive title like Lord is a dishonor. Lord is also related etymologically to Bel, a pagan deity. As one source notes, “In late Babylonian times the title Bel, ‘Lord,’ became synonymous with Marduk, who like Ishtar assimilated to himself various aspects of other gods,” Babylon, by Joan Oates, p. 172. The Companion Bible note on Isaiah 46:1 says, “Bel. Abbreviation of Baal=Lord. Here=Zeus, or Jupiter of the Greek and Roman mythology.” Neither is the term “god” free of heathen trappings. Paul wrote that there are “gods many and lords many,”1Corinthians 8:5. One root of “god” means to pour as in a molten image (Oxford English Dictionary). No wonder idols are known as gods. How can we justify using such terms when calling on the only true Father in Heaven, and His Son, Yahshua the Messiah? The language you speak has nothing to do with the Name of the one you worship, because His Name doesn’t change from language to language (Consider that there is no English form for the French name Napoleon and neither is there a German or Russian version for the English name Churchill. Specific names transcend language. They are transliterated, not translated). Yahshua said that even an evil person won’t give his son a stone when he cries out for bread (Matt. 7:9). Each one who seeks the Truth of Yahweh first does so with a certain lack of understanding. If Yahweh let our ignorance get in the way of our heart’s desire to seek Him, then we would soon become discouraged and give up our quest. After more truth is revealed to us, however, then we become accountable to make the proper changes in our lives and toward True Worship. “And the times of this ignorance Yahweh winked at; but now commands all men everywhere to repent,” Acts 17:30. Our true walk must start somewhere, and if calling on Him through common titles is all we know, then Yahweh will show compassion and toleration. But as He gives us more knowledge and Truth, He expects us to walk in all the light we are given. Paul wrote, “For you were sometimes darkness, but now are you light in the Master: walk as children of light,” Ephesians 5:8. Yahshua said, “Not every one that says unto me, ‘Rabbi, Rabbi’ shall enter into the kingdom of heaven; but he that does the will of my Father which is in heaven,” Mattthew 7:21. The truth of His Name has been revealed to you and it is now your responsibility to use that knowledge to begin to honor Him by calling on His revealed, personal Name. See Psalm 34:3, 68:4 and 1Kings 8:35. He reminds us repeatedly that His people are called by His Name, 2Chronicles 7:14, Daniel 9:19 and Ephesians 3:14-15. His Name is central to True Worship. We cannot say we truly know Him if we don’t know and call on His Name. Si vous Le connaissez, alors quel est Son Nom? Le fait évident est que la chrétienté a négligé le Nom révélé et personnel du Père Céleste. Beaucoup ne réalisent même pas qu’Il a un Nom, croyant que le titre Dieu est un nom parce qu’il a une majuscule. Cependant, ils acceptent le fait que des milliers de dénominations différentes rendent un culte avec ces mêmes titres mais avec une pléthore de croyances et de pratiques contradictoires. Ce qui amène à se demander si elles-mêmes Le connaissent ? Identifiez et connaissez votre Père Céleste ! Hormis ces contradictions, le Nom sacré du Père Céleste est-Il à ce point important ? Cela fait-il quelque chose la manière dont vous L’appelez ? A-t-Il même besoin d’avoir un nom pour rendre un bon culte, comme les divinités des autres religions en ont un ? Certains croient qu’Il sait de qui vous parlez peu importe comment vous L’appelez. Mais ont-ils considéré que refuser de révérer Son Nom personnel démontre un manque de respect à l’égard de Celui qu’ils adorent, de même qu’un mépris flagrant de Sa Parole ? C’est exactement ce qu’Il nous dit dans Malachie 2:2. En des temps de désespoir, combien de croyants en la Bible tomberaient-ils à genoux et feraient appel à Baal ? Ou Vishnu ? Ou Moloch ? Il est évident que CELA A de l’importance quel nom vous utilisez dans un culte. Les Noms VEULENT dire quelque chose. Les noms identifient un être particulier qui a des traits particuliers et qui est adoré d’une manière spécifique, et qui (en théorie) répond par des voies spécifiques à des cultes précis et bien définis. En faisant appel à des noms comme Vishnu ou Bouddha, vous invoquez une certaine divinité qui ne doit pas être confondue avec le Tout-Puissant de la Bible. Comment quelqu’un pourrait-il s’attendre à ce que le vrai Père Céleste réponde à des noms de cultes païens ? Plus important encore, à quel point est-Il proche de ceux qui refusent Son Nom personnel, décidant qu’un simple titre est suffisant – un titre adapté à une identité perdue dans un océan de doctrines et de croyances en conflits? Un titre est-il suffisant pour le vrai Tout-Puissant lorsque ce même titre peut tout aussi aisément se référer à d’autres divinités païennes ? Notez ce qui suit. L’apôtre Paul a écrit : « Pour ce qui est donc de manger des viandes sacrifiées aux idoles, nous savons qu’il n’y a point d’idole dans le monde, et qu’il n’y a qu’un seul [Elohim]. Car, s’il est des êtres qui sont appelés dieux, soit dans le ciel, soit sur la terre, comme il existe réellement plusieurs dieux et plusieurs seigneurs, néanmoins pour nous il n’y a qu’un seul [Elohim], le Père, de qui viennent toutes choses et pour qui nous sommes, et un seul [Maître, Yahshua], par qui sont toutes choses et par qui nous sommes » (1 Corinthiens 8:4-6). S’il existe plusieurs dieux et seigneurs, comment pouvez-vous distinguer celui qui est adoré avec l’un de ces titres ? Indifférent aux arguments et aux excuses que les personnes vont utiliser, Yahweh le vrai Père dit qu’Il est jaloux de Son Nom, et qu’Il ne permettra pas des louanges à des images gravées ayant comme origines des titres communs (Ésaïe 42:8). Nous, dans la civilisation occidentale, avons pratiquement perdu le sens de l’importance des noms. Pour nous, Johnny vaut tout autant que Tommy. Mais, même dans ce cas, nous pouvons être influencé dans le choix du nom de notre enfant sur base de quelqu’un que nous connaissons et possédant un nom particulier. Ce nom est, dès lors, connecté à une personne – peut-être un père, un grand-père ou un oncle – dont la personnalité et les qualités viennent à l’esprit lorsque le nom est cité ou qu’il y est fait référence. Rien n’est plus vrai que dans les Écritures. En fait, les noms ont une bien plus grande importance lorsqu’il s’agit de la Bible. Ceci est particulièrement vrai à l’égard de Celui que nous adorons comme Créateur et Soutien de cet univers. Philippiens 2:9 dit que Son Nom Yahweh est au-dessus de TOUT nom. Peu importe ce que nous pouvons penser ou voulons croire, faire appel à Son vrai Nom est d’une importance critique à Ses yeux. Son Nom révèle Son Identité spécifique. Lui seul est celui qui est connu par Son propre peuple comme le véritable Tout-Puissant appelé Yahweh. Lorsqu’un étranger vous appelle « amis », « monsieur » ou « madame », cela ne vous gêne pas. En fait, vous vous attendez à ce que les gens que vous ne connaissez pas utilisent de tels titres. Mais une fois que vous avez été présentés et que vous donnez votre nom à l’autre personne, vous vous sentez déconcerté si il ou elle continue à vous appeler monsieur ou madame. En agissant de la sorte, votre contact rejette la proximité que, normalement, l’usage de votre nom induirait. Yahweh ressent la même chose. Une fois que nous connaissons Son Nom, mais que nous persistons à l’appeler par des titres de divinités communes, nous perdons Sa faveur. Son Nom est une marque de proche intimité. Comment certains peuvent-ils prétendre avoir « une relation personnelle » alors qu’ils ne l’appellent même pas par Son Nom ? En faisant une alliance avec Israël, l’une des toutes premières choses que Yahweh a faite a été de Se présenter à eux sous Son Nom personnel. Il voulait et s’attendait à l’intimité que l’usage de Son Nom personnel engendrerait. Dans la Bible, quand une personne donne son nom à une autre personne, cela signifie la jonction des deux dans une proche unité. Lorsque Yahweh donna Son Nom à Israël, Il se lia à eux – il s’agissait d’un mariage – l’union la plus proche dont deux personnes peuvent se réjouir. Nous devons, en tant qu’Israël spirituelle et épouse du Messie, porter Son Nom également. Est-ce une simple coïncidence qu’une femme prend le nom de son mari dans un mariage ? Pourquoi cela ? C’est parce qu’à présent ils sont unis – ils sont devenus une espérance, un but, un engagement en une cause unique dans une famille menée par le mari. (En cette ère de féminisme, il est difficile de dire combien de temps cela va encore être pratiqué). Actes 15:14 nous dit que Yahweh Se choisit, parmi les païens, un peuple spécial «portant Son Nom ». Il est en train de créer une famille à Son Nom : «C’est pour cela que je fléchis mes genoux devant le Père (de notre [Maître Yahshua le Messie]), duquel est nommée toute famille dans les cieux et sur la terre » (Éphésiens13 :14-15, Bible Darby). Bibliquement, une personne et son nom sont virtuellement équivalents et inséparables. Le mot « nom » en hébreux est shem. Shemsignifie une marque ou un mémorial – exprimant l’individualité d’une personne. Un nom est la marque de l’honneur (ou déshonneur) d’une personne, son autorité, et son caractère. En fait, un nom décrit et définit tout ce qui concerne la personne. Le Nom Yahweh a une grande importance à cause de ce qu’il définit. Intrinsèquement, le Nom de Yahweh est la véritable parole de vie. Dans Exode 3:14 Il dit à Moïse : « Je suis celui qui suis,» ou « ha Yah asher ha Yah » en hébreu. Ce qui signifie « Je suis l’existence elle-même ». « Je fais exister toute chose ». Son Nom Yahweh Le décrit, Le définit, et met Ses qualités en évidence comme étant celui qui nous fait exister maintenant, et comme celui qui peut, pareillement, nous donner l’existence éternelle. Joël 2:32 prophétise que le jour viendra où quiconque invoquera Son Nom sera délivré. Cette signification est également intrinsèque dans la définition de Son Nom : « Je suis » ou « Je serai ». « Yahweh » a la connotation « Je serai là (pour toi), » spécialement quand vous avez besoin d’une délivrance. Son Nom est aussi un Nom de famille. Son peuple, ceux qu’Il a choisi, son appelé de Son Nom : « [Yahweh], écoute ! [Yahweh], pardonne ! [Yahweh], sois attentif ! agis et ne tarde pas, par amour pour toi, ô mon [Elohim] ! Car ton nom est invoqué sur ta ville et sur ton peuple » (Daniel 9:19). Son peuple porte ce merveilleux Nom car ils sont dans une alliance avec Lui – Lui obéissant et Lui plaisant dans tout ce qu’ils font. Il est extraordinaire que Son Nom Yahweh soit présent au moins 6823 fois dans les anciens manuscrits hébreux de la Bible. Cela ne peut simplement pas être ignoré. Il y a également l’argument : « Je ne L’invoque pas par Son Nom hébreu parce que je parle le français. » Une personne change-t-elle son nom lorsqu’elle voyage dans des pays étrangers dans lesquels différentes langues sont parlées ? Ou son nom est-il le même où qu’elle aille ? A-t-elle un nouveau passeport à chaque entrée dans un pays ? Ou bien Monsieur Dupont est-il toujours « Monsieur Dupont » dans chaque pays qu’il visite ? Il est évident que son nom reste inchangé, épelé de la même manière peu importe où il se rend. Quel est l’équivalent français de Barack Obama ? C’est Barack Obama, n’est-ce pas ? Quelle est la forme française de Bill Clinton ? Eh bien, c’est Bill Clinton. Si l’argument est « Je parle le français donc j’utilise des noms français », dans ce cas comment dit-on « Satan » en français ? Satan est la translittération d’un nom des Écritures, comme le sont de nombreux autres. Tout comme Yahweh, le nom Satan est hébreu. La forme française d’Abraham est également Abraham, un nom hébreu directement sorti des Écritures hébraïques et repris pratiquement sans altérations dans nos traductions françaises. Qu’en est-il de Daniel, également un nom hébreu ? Qu’elle est l’équivalent français de Daniel ? Le nom est Daniel évidemment. Et quid de Sarah ou Marthe ? Tous sont des noms hébreux inchangés dans la traduction française parce que les noms ne se traduisent tout simplement pas. Les noms sont translittérés, c’est-à-dire que l’on fait correspondre, sans changements, les sons d’un langage avec les sons d’un autre langage. Nous n’avons aucuns problèmes à utiliser sans équivalents français ces noms hébreux pour la bonne et simple raison QU’IL N’Y A PAS D’ÉQUIVALENTS FRANÇAIS ! Pourquoi devrait-il en être autrement avec le Nom de Yahweh ? Pourquoi le Nom le plus important de l’univers devrait-il être non seulement altéré, mais complètement remplacé ? (Le terme « dieu » n’est pas, à proprement parlé, un mot français. Il dérive du latin « deus » – se prononce ‘déous’ – issu de la racine indo-européenne « dei wo » et se retrouve dans le nom du dieu grec Zeus – se prononce ‘dzéous’). L’un des mots de louanges les plus populaire est « alléluia ». Chacun peut l’entendre dans les églises du monde entier. C’est l’un des mots d’exultation existant les plus anciens, et se trouve être un terme purement hébreu (halleluyah). « Hallel » signifie« louange » en hébreu, et « Yah » est la première partie du Nom sacré de Yahweh (c.-à.-d. Yah-weh). Ainsi,halleluYah signifie « louez Yah ». Beaucoup ne réalisent pas que le mot de louange le plus commun contient le Nom même de notre Père Céleste – halleluYah. Nous trouvons particulièrement ce mot sous la forme « alléluia » en français. Mais dans d’autres versions on le trouve sous la formehallelu-Jah, le « j » est toutefois dérivé de l’hébreu yod, qui est une consonne-voyelle équivalent au « y ». Un autre fait que beaucoup ignorent, c’est qu’il n’existait pas de lettre « j » dans les alphabets hébreu, grec ou latin. Pour cette raison la lettre originale ne pouvait pas être un « j » mais un « i » ou un « y ». Le « j » est la lettre la plus récente de notre alphabet et naquit au alentour de l’époque de Christophe Colomb. Le « j » est simplement un « i » avec une courbe à son extrémité, avec un son « gi » qui n’existe que depuis peu de temps. Le « j » et le « i » étaient utilisés de manière interchangeable jusqu’au XVIIe siècle. Les Écritures reprennent de nombreux noms connus qui contiennent le nom de notre Père Céleste. « Élie » se prononçait « Eliyah », un nom qui signifie « mon El est Yah ». Ésaïe (YehshaYah) est un nom hébreu qui signifie « salut de Yah ». Jérémie (YirmeYah) signifie « celui que Yah a élevé ». Quant à Sophonie (ZephanYah), c’est « caché de Yah ». De nombreux autres auteurs et prophètes furent nommés sur base du Nom Yahweh, montrant le lien profond qu’ils avaient avec Lui. Si quelqu’un persiste dans sa position selon laquelle parce que nous parlons français nous ne devrions pas utiliser des formes hébraïques, dans ce cas nous ne devrions pas non plus utiliser les noms ci-dessus parce qu’il s’agit de noms hébreux et que « nous ne parlons pas l’hébreu ». Il ne serait pas juste d’appliquer cet argument uniquement au Nom de Yahweh et pas aux autres noms et mots hébreux de la Bible – comme « sabbat », un nom hébreu, ou « Messie » un autre mot hébreu. Et quid de toutes les villes des Écritures, comme Jérusalem, Nazareth, Bethlehem, et les noms de centaines d’autres personnes, lieux, rivières, mers, déserts, et montagnes ? Tous devraient être transformés en équivalents français pour être consistent avec l’argument appelant à l’usage exclusif du français. Le problème est qu’il n’y pas de formes équivalentes en français pour ces noms hébreux ! Pas plus qu’il n’y a d’équivalent adéquat ou de nom, ou de titre, de substitution pour le grand Nom de Yahweh. Mais poussons l’argument un peu plus loin. Quel est le nom français pour Yahweh ? Cela pourrait-il être Dieu, avec un « D » majuscule ? Premièrement, il nous faut comprendre que « dieu » n’est pas un nom mais un titre. Paul dit qu’il y a de nombreux dieux et de nombreux seigneurs. Les titres ne définissent pas d’individus particuliers. Il y a de nombreux présidents dans nos pays – présidents de compagnies, de collèges, présidents de conseils d’administrations, présidents de banques… mais il n’y a qu’un président de General Motors, un seul président d’Harvard, et un seul président de Citibank – et chacun à un nom qui lui est propre. Si j’écris une lettre qui débute par la salutation « Cher président », celle-ci peut s’appliquer à n’importe lequel de ces présidents. Ce n’est que quand j’inclus le nom avec le titre que je mets en évidence à qui je m’adresse précisément. Si je prie le dieu de ce siècle, Paul dit, dans 2 Corinthiens 4:4, que je pourrais bien prier Satan car Satan est appelé un « dieu de ce siècle », comme le sont des milliers d’autres divinités auxquelles l’homme a rendu un culte tout au long de l’Histoire. Et même dans ce cas, ces divinités avaient des NOMS précis qui étaient liés à leurs titres. Le mot « Dieu » est-il simplement l’équivalent de «Yahweh » utilisé par les croyants francophones ? Attend-il de Son peuple que celui-ci change Son Nom en une autre forme plus conforme à la langue qu’il parle ? Cela est-il même possible ? Le Dictionnaire des racines des langues indo-européennes (R. Grandsaignes d’Hauterive, Éditions Larousse, Paris, 1949) dit que « dieu » dérive du Latin deus, ayant lui-même pour racine l’indo-européen dei wo ; la base étant « dei- »signifiant« luire », « briller » – dei wo = « ciel lumineux » considéré comme une divinité païenne. Ce mot a également donné dios et zeus(prononcé dzéous) en grec. Le point est le suivant : peut-on dire que « Dieu » est un mot français ? Absolument pas ! Son usage commun en français repose sur d’antiques origines étrangères. Relativement peu de mots français utilisés sont du pur français. Le mot « Français » même n’est pas du français ! « France » vient du germanique « Franko(n) » (Francia en latin), domaine des Francs. Qui étaient les Francs ? Un peuple de guerriers germaniques situé aux abords du Rhin au IIe et IIIe siècle, et qui allait dominer la majeure partie des Gaules, de la Germanie et la Lombardie (nord de l’Italie actuelle) après la chute de l’Empire romain au Ve siècle. « Je » vient du latin populaire eo, lui-même du latin classique ego. « Français », comme nous l’avons vu, est d’une racine germanique. « Parler » à pour racine le grec parabola ayant donné le latin parabolare. « Être » à pour origine l’ancien français estre. « Hébreux » vient de l’hébreu Eber. Dans les exemples issus de cette phrase « Je parle français, c’est pourquoi je n’utilise pas de noms hébreux » on constate que le verbe « être » est peut-être le seul mot dont on peut dire qu’il est d’origine française. Le fait que l’on souhaite mettre en évidence ici, est qu’on ne peut pas dire que le français soit un langage pur en tant que tel. La majeure partie de ses emprunts vient du grec, du latin, voire de l’arabe et de l’hébreu même. La plupart des mots que nous utilisons en français viennent d’autres langues. Dans tout ceci, le point important est que le langage n’a pas grand-chose à voir avec le Nom du Tout-Puissant des Écritures. Il était Yahweh avant qu’Il ne place l’homme sur cette terre. Avant qu’il n’y ait eu tous ces langages à Babel, Il était Yahweh. Son Nom transcende les langues. « Yahweh » est la vie personnifiée. Psaume 135:13 dit : « Ton nom subsiste à toujours, Ta mémoire dure de génération en génération. » Son Nom est Son mémorial qui perdure pour toujours. Dans Exode 20:2, les Dix Commandements débutent ainsi : « Je suis [Yahweh], ton [Elohim], qui t’ai fait sortir du pays d’Égypte, de la maison de servitude. Tu n’auras pas d’autres dieux devant ma face.» En définitive, tous les faux cultes peuvent être liés à la transgression du premier des dix commandements. Tous les péchés que nous commettons résultent du refus de suivre Yahweh et Sa volonté manifestés en premier lieu dans Ses lois. Plus loin, le verset 6 nous dit d’observer les commandements si nous L’aimons et qu’Il nous ferait miséricorde à Son tour. Notez à présent le verset 7 : « Tu ne prendras point le nom de [Yahweh, ton Elohim], en vain ; car [Yahweh] ne laissera point impuni celui qui prendra son nom en vain. » Que signifie de ne pas prendre Son Nom en vain ? Un juron lorsque vous ratez le clou avec votre marteau et que vous frappez sur votre pouce ? Ou quelque chose de beaucoup plus important ? « Prendre » est traduit de l’hébreu nasa signifiant « lever » ou « emmener ». « Vain » vient de la racine hébraïque shoaw signifiant« se ruer sur ; dévaster ; ruine » – fondamentalement,« prendre en vain » signifie « traiter avec négligence ». Lorsque nous remplaçons Son nom uniquement par quelques titres, nous transgressons le Troisième Commandement. Le commandement dit : « Ne portez pas Son Nom à la désolation » ou « Ne L’ignorez pas par négligence ». Lorsque nous utilisons un titre commun dans le culte, nous perdons l’aspect le plus important de l’identité de Yahweh et ce qu’Il représente ; Ce qu’Il est et ce qu’Il peut faire pour nous. Son Nom décrit l’essence même de qui Il est : Yahweh – Il est l’existence elle-même. Aucun titre ne peut décrire tout ce que Son Nom représente. Un titre annule la raison d’être même d’un nom. Il est juste là comme une étiquette, sans profondeur de sens, n’étant lié à aucune identité particulière. « Je suis [Yahweh], c’est là mon nom ; et je ne donnerai pas ma gloire à un autre, ni mon honneur aux idoles », dit-il dans Ésaïe 42:8. Lui et Son Nom sont inséparables. Nous espérons que vous prendrez conscience de l’incroyable importance de cette vérité, et que vous en arriverez à connaître votre Créateur par Son Nom personnel et révélé : Yahweh. Imaginez tout ce qu’Il peut et voudra faire pour vous si vous Le mettez à la première place et que vous honorez Son merveilleux et puissant Nom ! 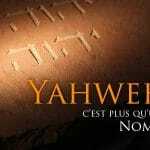 Yahweh – c’est plus qu’un Nom ! L’argument habituel selon lequel n’importe quel nom est acceptable lorsqu’on nomme le Père céleste non seulement transgresse la sainteté du Nom personnel de Yahweh qui fut révélé, mais est également une attaque contre le véritable culte. Actuellement, une poussée vers l’unification en une religion New Age monolithique est en train d’atteindre son but de la même manière – exploitant des mots clés qui sont importants pour un culte correct et les redéfinissant en vue d’une consommation de masse et des fins iniques. Dans le 44e chapitre de Jérémie, nous voyons notre Père Céleste Yahweh complètement dégoûté de Son peuple et prêt à Se laver les mains à leur propos. Nous voyons un Père excessivement patient qui en a finalement eu assez de Ses enfants rebelles qui insistaient pour avoir leur propre manière de rendre un culte quoi qu’il en coûte. Après tous les prophètes qu’Il leur avait envoyés pour les avertir, après toutes les épreuves qu’ils n’ont pas réussies à surmonter et toutes les plaies et les difficultés qu’ils ont endurées à cause de leur désobéissance, rien n’avait réellement changé. À présent le peuple dit avec mépris au prophète : « Nous ne t’obéirons en rien de ce que tu nous as dit au nom de [Yahweh]. Mais nous voulons agir comme l’a déclaré notre bouche, offrir de l’encens à la reine du ciel, et lui faire des libations, comme nous l’avons fait, nous et nos pères, nos rois et nos chefs, dans les villes de Juda et dans les rues de Jérusalem. Alors nous avions du pain pour nous rassasier, nous étions heureux, et nous n’éprouvions point de malheur » (Jérémie 44:16-17). Ici, Juda est ouvertement vindicatif et dédaigneux, comme un enfant désagréable qui se conduit mal dès que ses parents ont le dos tourné. Ce peuple rebelle continue à vouloir adorer les dieux païens. Peu importe ce que Yahweh dit ou fait, ils désirent suivre l’apostasie de la majorité des religions qui les entourent. « Écoutez la parole de [Yahweh], vous tous de Juda, qui demeurez au pays d’Égypte ! Voici, je le jure par mon grand nom, dit [Yahweh], mon nom ne sera plus invoqué par la bouche d’aucun homme de Juda, et dans tout le pays d’Égypte aucun ne dira : [Yahweh Elohim] est vivant ! » (Jérémie 44:26). Ceci est une punition pour leur refus de Lui rendre un culte dans la vérité. Il ne veut pas que Son Nom soit lié à eux ou leur péché de rébellion. La leçon pour nous revient à ceci : Vous ne pouvez pas Lui rendre un culte correct sans utiliser Son propre Nom personnel. Son Nom définit le Père comme le culte qui est uniquement le Sien. Le seul vrai culte dans la Bible se rend dans et par Son Nom révélé. Nous apprenons dans Apocalypse 7:3, 14:1 et 22:1-4 que les 144 000 fidèles qui sont scellés à la fin des temps sont scellés avec Son Nom sur leur front. Son Nom sépare les véritables adorateurs des faux et leur donnera littéralement une protection lors de la tribulation des derniers jours. Notez ce que Jacques dit au peuple assemblé à Jérusalem : « Simon a raconté comment [Elohim] a d’abord jeté les regards sur les nations pour choisir du milieu d’elles un peuple qui portât son nom » (Actes 15 :14). Les païens doivent quitter leur faux culte et adhérer au véritable Nom. Le vrai culte et Son Nom vont de pair et ne peuvent être séparés. Ceux qui connaissent le vrai Nom mais persistent à le remplacer par des titres sont encore dans l’Égypte spirituelle, continuant, de fait, à sacrifier à la reine des cieux parce qu’ils n’en sont pas encore arrivés à connaître le véritable Père, connaissance qui vient en usant de Son Nom personnel. Il n’y a qu’une vérité clairement montrée tout au long des Écritures et c’est celle-ci : Son Nom et vrai culte vont main dans la main, ils ne peuvent être séparés. Il interdit à l’homme de substituer Son Nom avec un autre, de même qu’Il ne permet nul autre culte que celui qu’Il prescrit. En nous montrant dans Jérémie 44 qu’il n’est pas permis aux adorateurs apostats d’user de Son Nom, Il nous montre également que nous ne pouvons uniquement, et véritablement, adorer que dans Son Nom. Le vrai Nom n’est pas seulement une question de « savoir qui Il est » lorsque nous rendons un culte ou Lui faisons appel. C’est plus qu’une identité. Son Nom est la différence entre être dans la vérité et être en dehors de la vérité. C’est la différence entre un culte qui Lui plaît et un culte qui L’irrite. Cette vérité est difficile à accepter pour certains comme il l’est, pour eux, d’accepter le Sabbat à la place du dimanche. Ce n’est rien d’autre que 2 000 ans d’une tradition bien ancrée qui les rend confus. Tout ce qu’ils ont besoin de faire c’est de permettre à Yahweh d’œuvrer avec leur cœur – leur montrer la vérité – et ils verront la différence. Son Nom identifie Son peuple comme il définit la bonne manière d’adorer. Le prophète écrivit : « [Yahweh], écoute ! [Yahweh], pardonne! [Yahweh], sois attentif ! agis et ne tarde pas, par amour pour toi, ô mon [Elohim] ! Car ton nom est invoqué sur ta ville et sur ton peuple » (Daniel 9:19). Dans notre culture, les noms ne sont tout au plus que des étiquettes. Mais en aucun cas avec Yahweh. Son Nom signifie le seul et unique véritable Père Céleste en opposition aux fausses divinités des cultes apostats. Son Nom est un véritable moyen d’identification, un lien vers le seul véritable Créateur. La simple leçon pour Israël et pour nous est celle-ci : Rejetez le véritable culte et vous rejetez Son Nom. L’inverse est également vrai : Rejetez Son Nom pour un nom de substitution, et vous n’avez plus l’authentique, véritable culte des Écritures. Les deux sont inséparables. Les noms et les mots ont une puissance telle que vous ne l’avez jamais peut-être considéré. Existe-t-il un quelconque danger dans la notion que n’importe quel nom est acceptable pour rendre un culte à notre Père Céleste ? En dehors du fait de nous tenir éloigné de la vérité, la nonchalance typique concernant le Nom du Père Céleste, et Son culte atypique, fait partie intégrante de l’indifférence générale qui va ouvrir les portes à la fausse religion universelle qui prendra bientôt le contrôle. Au cœur de ce système existera un dirigeant religieux démoniaque qui exigera un culte à l’échelle mondiale. Un livre titré New Age Bible Versions détaille la façon dont la voie est préparée pour la grande séduction. Il révèle que les nouvelles traductions des Écritures prennent des mots et des termes importants associés au vrai culte, et les universalisent pour attirer un large spectre de croyants. Mis publiquement en évidence très récemment est le retrait des références masculines de Yahweh dans des Bibles et des livres de chants et leur remplacement par des références générales et des pronoms comme « Elle » pour « Il » (alors même que le culte de l’ancienne déesse féminine Sophia revient dans les églises). En définitive, des tentatives seront faites pour inclure toutes les personnes des diverses croyances sous une seule religion globale. Pour accomplir cela, l’utilisation des mots dans les nouvelles Bibles aidera de nombreuses personnes et leur rendra plus aisé leur entrée dans le faux culte. Le mouvement est actuellement subtil ; néanmoins, une fois le christianisme rendu plus souple, la soumission complète à une religion mondiale dominante viendra rapidement. Paver la voie de cette religion universelle consiste en une réorientation des croyances par le moyen de la manipulation des mots. Inconscient de ce qui est train d’arriver, les masses acceptent une nouvelle terminologie qui les éloigne davantage du peu de vérité qu’elles avaient. La version Louis Segond écrit « le Seigneur, ton Dieu ». L’araméen ou l’hébreu, que parlait Yahshua, se lit « Yahweh ton Elohim ». Mais même en grec, le Nom de Yahweh serait resté inchangé. Si Yahshua avait vraiment dit « le Seigneur, ton Dieu », Satan en aurait été heureux. Pourquoi ? Parce qu’Il aurait pu se référer à Satan lui-même. L’apôtre Paul appelle Satan le « dieu de ce siècle » dans 2 Corinthiens 4:4. Dans Matthieu 12:24, Satan est appelé Béelzébul, qui est un autre terme pour « Seigneur des mouches ». Dans les faits, notre traduction française dit : il est écrit, tu adoreras le seigneur ton dieu – qui peut être tout aussi bien Satan dans ce cas-ci – et tu le serviras lui seul. Nous pouvons voir comment l’adversaire se réjouit lorsque, de nos jours, des personnes sont amenées à rendre un culte avec des titres communs. Agir ainsi les éloigne du vrai Père tandis qu’un faux est mis à Sa place au travers d’un titre générique et incorrect. Toutes les fois que nous n’adorons pas Yahweh avec Son vrai Nom, nous sommes en danger d’invoquer de faux dieux créés par le Père du mensonge lui-même – même si cela est fait dans l’ignorance. Changez le nom de celui que vous adorez et vous changez CELUI que vous adorez et la MANIÈRE dont il est adoré. Substituez-Le par un titre universel et vous vous éloignez du vrai Yahweh. Il ne s’agit pas d’une simple question de sémantique ; ce n’est pas un simple choix entre deux alternatives. C’est une question de vraie ou fausse identité – et d’un bon culte face à un faux culte ! C’est la raison pour laquelle Yahweh a la caractéristique de Se présenter Lui-même par Son Nom en premier lieu, et ensuite Il spécifie le culte qu’Il attend : « Je suis [Yahweh], c’est là mon nom ; et je ne donnerai pas ma gloire à un autre, ni mon honneur aux idoles » (Ésaïe 42:8). Dans Exode 3, Yahweh dit à Moïse que Son Nom est Yahweh, à la suite de quoi Il explique comment Il va faire sortir Israël hors d’Égypte. Ils allaient connaître le vrai culte, y compris les jours saints, après avoir appris Son Nom personnel. Nous établissons nos croyances par le langage. Le langage peut inspirer, convaincre, et défier, de la manière dont Yahshua l’a utilisé ; ou il peut être utilisé pour manipuler ou subjuguer, comme les dictateurs l’ont fait tout au long des siècles. Les mots peuvent influencer les émotions et les opinions, comme dans un bon film ou un bon livre. Même les maris, les femmes, et les enfants savent ce qu’un mauvais ou un bon mot peut signifier dans leurs relations. L’utilisation de titres comme « dieu » ou « seigneur » encourage l’universalisme, ce qui est à l’exact opposé de la vraie foi. Le véritable culte est spécifique, étroit, bien défini, et comprend un nombre relativement petit de fidèles identifiant le vrai Père par Son Nom (Matthieu 7:14). La voie de l’erreur menant à la destruction est large et nombreux sont ceux qui y marcheront, dit Yahshua (v.13). L’une des manières par lesquelles cela s’accomplit est par l’argument selon lequel la façon dont nous Le nommons ne fait aucune différence. N’importe quel nom ou titre est acceptable. Comme expliqué ci-dessus, des titres comme « dieu » ou « seigneur » sont généraux et s’appliquent à de nombreux et différents dieux, ainsi qu’à Satan lui-même. Les idoles païennes, pareillement, sont appelées par les mêmes titres communément utilisés comme noms pour le Père Céleste. Les titres ne fixent pas d’identité personnelle. Ils sont comme des « êtres humains » génériques. Faire appel à « Dieu », c’est comme appeler votre voisin « la personne ». Même le Nom sacré du Créateur Lui-même peut perdre son importance lorsque nous permettons à d’autres de faire des manipulations de mots et des substitutions de noms. Centré sur l’être humain, le mouvement humaniste qui débuta à la Renaissance est finalement en train de réussir à éliminer le langage lié au péché, qui provient d’une puissance supérieure. Dans la société en général nous n’entendons encore que très rarement des termes comme « immoralité », « vivre dans le péché », « fornication », « vertueux », et d’autres encore. De nos jours, l’homme a décidé d’appliquer ses propres standards définissant ce qui est bien ou mal. Le péché et toutes références qui y sont faites sont rejetés, car le péché admet l’existence d’un Père céleste, et cela entre en conflit direct avec l’idée que l’homme lui-même est omniscient. Notre culture est en train de bâtir une nouvelle tour de Babel, où chacun parle le même langage du relativisme moral. Ce mouvement est en train de changer la manière dont les personnes pensent le sujet du bien et du mal lui-même, et ce en changeant leur langage et la manière dont le bien et le mal sont exprimés. Des forces travaillant en coulisse ont pris le contrôle de la puissance du langage pour promouvoir leurs propres agendas. Tout ceci fait partie d’une réorganisation des croyances fondées sur la Bible – afin de remplacer la moralité traditionnelle et biblique avec des croyances humanistes. Cela, à son tour, préparera la voie de l’homme impie. Mais les plus grandes implications sont celles qui tendent à falsifier la nature même du Tout-puissant Yahweh et Sa Parole. Satan s’est mis en marche, cherchant à oblitérer Yahweh et Sa vérité dans une poussée finale afin de tout préparer pour son propre Anti-messie. Ce ne sont pas uniquement les mots de tous les jours qui sont modifiés et maltraités en vue d’un objectif inique, mais aussi la Parole de Yahweh elle-même. Un récent rapport souligne qu’un important éditeur emballe ses Bibles pour une distribution mondiale avec l’insigne « La Bonne Nouvelle pour un Nouvel Âge ». Plus troublant encore est la façon dont les nouvelles versions jouent avec le texte lui-même. Ceux qui se méprennent sur le côté significatif des mots et des noms nous disent que la façon dont vous appelez le Père n’a aucune importance. Ils disent : « Peu importe, Il sait de qui vous parlez ». Étrangement, cependant, ceux qui nous disent ceci emploient exclusivement les mêmes titres « Seigneur » et « Dieu » qui, de part leur usage universel reviennent à être des faux noms de remplacements. Ayant été éloignés du Nom Yahweh, qui identifie le vrai Tout-puissant de cet univers et le culte précis qu’Il demande, les croyants modernes ont inconsciemment acceptés un titre générique qui les éloigne également du vrai culte attaché à Son Nom. Sans surprise, Satan a usurpé ce titre. Les écrits New Age et sataniques décrivent Satan en des termes qui sonnent bibliques, l’appelant le Dieu Divin, disant que Lucifer est Dieu, le porteur de lumière, le sauveur du monde. Mais comment cela pourrait-il arriver ? Très simplement. Les masses nomment déjà leurs dieux avec les mêmes termes et titres respectés tant dans le christianisme que dans le satanisme. Un petit peu plus de séduction et ils transfèrent simplement les titres d’un individu à l’autre ! Par définition, des titres peuvent s’appliquer à bon nombre de personnes ou de dieux. Il y a de nombreux nouveaux « dieux » faisant surface en cette époque de New Age. Notre société est sous l’emprise croissante d’un culte païen et de ses nombreuses fausses divinités. Yahweh savait clairement ce qu’Il faisait en nous donnant cet avertissement. Il est Yahweh Tout-puissant, le seul Vrai Père d’en haut. Son Nom Le définit et Son Nom L’identifie, comme c’est le cas pour ceux qu’Il appelle Son Peuple – ceux qui sont appelé de Son Nom (Ésaïe 43:7). If You Know Him, Then What Is His Name? The obvious fact is, churchianity has neglected the Heavenly Father’s revealed, personal Name. Many don’t even realize that He has a name, believing that the title God is a name because it is captialized. All the while they accept the fact that thousands of different denominations are worshiping under these same titles but with a plethora of contradictory beliefs and practices. Which leads one to ask, do they themselves really know Him? Identify and Know Your Heavenly Father! Aside from these contradictions, is the sacred Name of the Heavenly Father really that important? Does it matter what you call Him? Does He even need to have a name for proper worship, as the deities of all other religions do? Some believe that He knows who you mean no matter what you call Him. But have they considered that refusing to revere His personal Name demonstrates dishonor for the One they worship, as well as blatant defiance of His Word? He tells us precisely that in Malachi 2:2. How many Bible believers would fall on their knees in times of desperation and call out to Baal? Or Vishnu? Or Molech? Obviously it DOES matter what name you use in worship. Names DO mean something. Names identify a particular entity who has particular traits and is worshiped in a specific manner and who (supposedly) responds in specific ways to well-defined and proper worship. By calling on names like Vishnu and Buddha, you have conjured up a certain deity who must not be confused with the Almighty of the Bible. 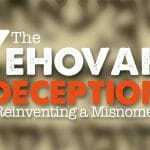 How can one expect the true Heavenly Father to respond to names of pagan worship? More importantly, how close is He to those who refuse His personal Name, deciding that a mere title is sufficient – a title suited for an identity lost in a sea of conflicting doctrines and beliefs? Is a title good enough for the true Mighty One when that same title can just as easily refer to other pagan deities? Notice the following. The Apostle Paul wrote, “As concerning therefore the eating of those things that are offered in sacrifice unto idols, we know that an idol [is] nothing in the world, and that [there is] none other Elohim but one. For though there be that are called gods, whether in heaven or in earth (as there be gods many, and lords many), But to us [there is but] one Elohim, the Father, of whom [are] all things, and we in him; and one Master Yahshua, by whom [are] all things, and we by him” (1Cor. 8:4-6). If there are many gods and lords, how can you distinguish the one worshiped with one of those titles? Regardless of the arguments and excuses people will use, Yahweh the true Father says He is jealous for His Name, and He will not allow praises to graven images that proceed from common titles, Isaiah 42:8. We in our Western civilization have nearly lost the significance of names. For us, Johnny is just as good as Tommy. But even then we may be influenced to choose a name for our child based on someone we know who had a particular name. In that case the name is connected to a person – maybe a father or grandfather or uncle – whose very personality and attributes come to mind when the name is spoken or referred to. Nowhere is this more true than in Scripture. In fact, names have much greater significance when it comes to the Bible. This is particularly so with the One we worship as the Creator and Sustainer of this universe. Philippians 2:9 says His Name Yahweh is above EVERY name. No matter what we may think or want to believe, calling on His true Name is critically important to Him. His Name reveals His special identity. He alone is the one known by His special people as the true Mighty One called Yahweh. You don’t mind when a stranger calls you “friend,” or “sir,” or “lady.” In fact, you expect those you don’t know to use such titles. But once you are introduced and you give the other person your name, you feel put off if he or she continues to call you sir or lady. In doing so your acquaintance is rejecting the closeness that using your personal name would otherwise induce. Yahweh feels the same way. If once we know His Name but insist on calling Him by titles of generic deities, we fall out of favor. His Name is a mark of intimate closeness. How can some claim a “personal relationship” when they don’t even call on Him by Name? In making a covenant with Israel, one of the very first things Yahweh did was to introduce them to His personal Name. He wanted and expected the intimacy that using His personal Name would engender. In the Bible, when a person gave his name to another individual, it signified the joining of the two in closest unity. When Yahweh gave His Name to Israel, He was joining with them – it was a marriage – the closest union two can enjoy. We as spiritual Israel and bride of the Messiah are to take on His Name as well. Is it just coincidence that a woman takes on a man’s surname in marriage? Why is that? It is because now they are in union – they have become one in aspiration, goal, and commitment to a single cause in a family headed by the husband. (In this era of feminism it’s hard to say how long that will continue to be the practice.) Acts 15:14 tells us that Yahweh takes out from the gentiles a special people “for His Name.” He is creating a family under His Name: “For this cause I bow my knees unto the Father of our Master Yahshua the Messiah, of whom the whole family in heaven and earth is named,” Ephesians 3: 14-15. Biblically, the person and his name are virtually equivalent and inseparable. The word “name” in Hebrew is shem. Shem means a mark or a memorial – expressing a person’s individuality. A name is a mark of a person’s honor (or dishonor), his authority, and his character. In fact, a name describes and defines everything about the person. The Name Yahweh has great significance because of what it defines. Intrinsic to Yahweh’s Name is the very verb of existence. In Exodus 3:14 He tells Moses: “I am that I am,” or “ha Yah asher ha Yah” in the Hebrew. It means I am existence itself. I cause everything to come into being. His Name Yahweh describes Him, defines Him, and displays His attributes as the one who causes us to exist now and the one who can give us everlasting existence as well. Joel 2:32 prophesies that the day will come when whoever shall call on His Name will be delivered. That meaning is also intrinsic in the definition of His Name: “I am” or “I will be.” “Yahweh” connotes, “I will be there (for you),” especially when you need deliverance. His Name is also a family Name. His people, His very Chosen, are called by His Name: “O Yahweh, hear; O Yahweh, forgive; O Yahweh, hearken and do; defer not, for your own sake, O my Elohim: for your city and your people are called by your name” (Dan. 9:19). His people take on this wonderful Name because they are in covenant union with Him – obeying Him and pleasing Him in all that they do. Astoundingly, His Name Yahweh is found no fewer than 6,823 times in ancient Hebrew manuscripts of the Bible. It simply cannot be ignored. Then there is the common argument, “I don’t call on Him by His Hebrew Name because I speak English.” Does a person change his name when traveling to foreign lands in which different languages are spoken? Or is his name the same everywhere he goes? Does he get a new passport at each new port of entry? Or is John Doe still “John Doe” in each country he visits? Obviously his name remains unchanged, being spelled the same no matter where he goes. What is the English equivalent of Franzois Mitterrand? It’s Francois Mitterrand, is it not? What is the English form of Boris Yeltsin? Why, it’s Boris Yeltsin. If the argument is, I speak English therefore I use English names, then what is “Satan” in English? Satan is a name transliterated in Scripture, as are many others. As with Yahweh, the name Satan is Hebrew. The English form of Abraham is also Abraham, a Hebrew name right out of the Hebrew Scriptures and carried over almost unaltered into our English translation. What about Daniel, also a Hebrew name? What’s the English equivalent for Daniel? The name is Daniel, of course. How about Sarah and Martha? One of the most popular words of praise is halleluyah. One can hear it in churches all around the globe. 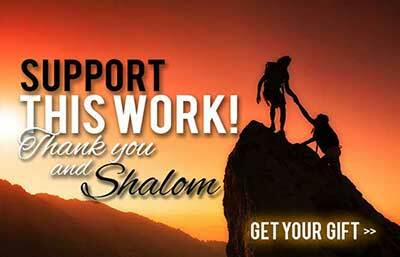 It’s one of the most ancient words of exultation in existence, and is a purely Hebrew term. “Hallel” means “praise” in Hebrew, and “Yah” is the first part of the sacred Name Yahweh (i.e. Yah-weh). 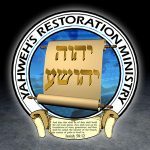 Therefore halleluYah means “Praise Yah.” Most do not realize that the most common word of praise contains our Heavenly Father’s very Name—”Hallelu-Yah.” We see this word especially in the form hallelu-jah, but the “j” is derived from the Hebrew yod, which is a consonant-vowel equivalent to the Y. Another fact many overlook is that there was no letter J in any Hebrew, Greek or Anglo-Saxon alphabet. Therefore the original letter could not have been a J but an I or Y. The J is the newest letter in our alphabet and came into existence about the time of Christopher Columbus. The “J” is merely an “I” with a tail on it, with a “juh” sound that evolved only recently. The “J” and “I” were used interchangeably until the 17th century. Scripture records many well-known names that contain the name of the Heavenly Father. “Elijah” was not pronounced that way in the Scriptures. It was “Eliyah,” a name that means, “my El is Yah.” Isaiah (YeshaYah) is a Hebrew name that means “salvation of Yah.” Jeremiah (YirmeYah) means “whom Yah raises up,” and Zephaniah (ZephanYah) is “hidden of Yah.” Many other writers and prophets were named after Yahweh, showing the close bond they had with Him. If one sticks to the position that because we speak English we should not use Hebrew forms, then we shouldn’t use the forementioned names, either, because they are Hebrew names and “we don’t speak Hebrew.” It would not be right to apply that argument just to Yahweh’s Name and not to all the other Hebrew names and words in the Bible – like “Sabbath,” a Hebrew name, and “Messiah,” another Hebrew word. What about all the cities in the Scriptures, like Jerusalem, Nazareth, Bethlehem, and the names of hundreds of other people, places, rivers, seas, deserts, and mountains? These would all need to be changed to English equivalents to be consistent with the argument calling for the exclusive use of English. The problem is, there are no equivalent English forms for these Hebrew names! 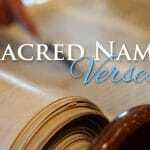 Neither is there an adequate equivalent or substitute name or title for Yahweh’s great Name. Let’s pursue this argument a bit further. What is the English name for Yahweh? Can it be G-d, with a capital G? First, we must realize that “god” is not a name but a title. Paul said there are gods many and lords many. Titles do not define specific individuals. There are many presidents in our country – presidents of corporations, colleges, board presidents, bank presidents…but there is only one president of General Motors, only one president of Harvard, only one president of Citibank – and each has a specific, identifiable name that he answers to. If I wrote a letter addressed, “Dear President,” it could apply to any one of these presidents. Only when I include the name with that title do I reveal whom I am specifically addressing. If I pray to the god of this world, Paul in 2Corinthians 4:4 says that I could be praying to Satan because Satan is called a “god of this world,” as are thousands of other god deities man has worshiped throughout history. Even then, those deities had specific NAMES attached to their titles. Is “God” simply an equivalent for “Yahweh,” used by English-speaking, Bible believers? Does He expect His people to change His Name to some other form according to the language they speak? And is that even possible? The Oxford English Dictionary (OED) says “god” derives from the Dutch god, stemming from the Old High German, gott.It sprang from the Gothic guth, going back to the Teutonic gudo, which stems from two Aryan roots – one meaning to invoke, the other to pour in the sense of a molten image. I = the letter I is the ninth letter of the alphabet, coming through the Latin from the Greek and ultimately from the Semitic or Hebrewyod – the first letter in Yahweh’s Name. Name = Greek onoma . In the statement, “I speak English, so I do not use the Hebrew Name,” the word “not” is the only one of those 10 words that is English in origin. English is not by any stretch a pure language. Much of it is from the Romance languages, and vast numbers of its words derive from Greek and Latin (and ultimately Hebrew). Most of the words we use in English come from some other language. The point in all of this is that language has very little to do with the Name of the Mighty One of the Scriptures. He was Yahweh before He put man on earth. Before there were all these languages from Babel, He was Yahweh. His Name transcends language. “Yahweh” is existence personified. Psalm 135:13 says, “Thy Name endures forever, your memorial throughout all generations.” His Name is His memorial that endures for all time. The Ten Commandments in Exodus 20:2 begin, “I am Yahweh your Elohim which brought you out of the Land of Egypt. You shall have no other mighty ones before me.” All false worship can ultimately be traced to a violation of this first of the Ten Commandments. Every sin we commit results from not putting Yahweh and His will, manifested by His laws, first. Before He says anything, Yahweh establishes in the very first commandment that HE is Yahweh our Mighty One.Ecclesiastes 12:13 bears out this important truth: “Let us hear the conclusion of the whole matter: Fear Yahweh and keep His commandments, for this is the whole [duty] of man.” We continue in Exodus20:4: “You shall not make into you any graven image, or any likeness of any thing that is in heaven above, or that is in the earth beneath, or that is in the water under the earth.” Heathens did not worship a stone image as a stone, but as a representation of some deity. He says don’t manufacture these things because they will remind you of some other deity, and I am the only one you are to worship. Moving on, verse 6 tells us that if we love Him to keep the commandments and He in turn will show mercy to us. Now notice verse 7: “Thou shalt not take the name of Yahweh your Elohim in vain.” What does it mean to take His Name in vain? Curse when you miss the nail with a hammer and smash your thumb? Or something far more significant? “Take” is the Hebrew nasa, meaning to lift or bring to. Vain comes from shoaw, to rush over, bring to devastation, uselessness, waste – basically “take in vain” means to treat with neglect. When we trade His name exclusively for some title, we are breaking the Third Commandment. “You shall not bring His Name to desolation or ignore it through neglect,” the com- mandment says. When we use a common title in worship, we are missing the most important aspect of who Yahweh is and what He stands for; what He is all about and what He can do for us. His Name describes the very essence of who He is – Yahweh: He is existence itself. No title can mean all that His name stands for. A title defeats the purpose of a name. It just sits there like a pasted-on label, with no depth of meaning and tied to no particular identity. “I am Yahweh, that is My Name, and My glory will I not give to another,” He says in Isaiah 42:8. He and His Name are inseparable. Our hope is that you will grasp the awesome importance of this truth and will come to know your Creator through His personal, revealed Name Yahweh. Realize all that He can and will do for you if you will put Him first and honor His wonderful and powerful Name!